"Hiking with Patrons. 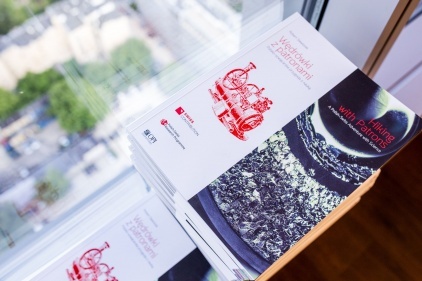 A Polish-Swiss Adventure with Science" is a book describing 31 research projects carried out by research centers and universities in Poland and Switzerland. These include basic research in such areas as information and communication technologies, energy and renewable energy, nanotechnology, health and the environment. All the projects received funding from the Polish-Swiss Research Programme. The author of the publication, edited by the National Information Processing Institute, is Robert Siewiorek, PhD. Its premiere took place on 6 June 2016 in Warsaw, during the conference "Innovation Summits", summing up the implementation of the PSRP.